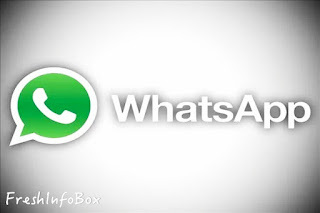 WhatsApp has been working hard on revamping its platform and giving a better experience to its 1.5 billion active users. The Facebook-owned app is regularly rolling out different features and updates for subscribers. Now, following the trend and to help its users be more expressive in the easiest of ways, WhatsApp has submitted a new update via Google Play Beta Program. In version 2.18.120 update, WhatsApp is working on a specific sticker album. Although the sticker feature is not yet made available to the users for development reasons, it will be enabled in the next releases, according to a report by WAbeta Info. The report says that WhatsApp is currently working to improve the Sticker feature before the release. They new feature groups two stickers in a row. The feature is very useful because it will help users save space in the chat if he/she sends more than one sticker. Another sticker album that WhatsApp has introduced for its beta users is ‘location sticker. After selecting the Location Sticker, users can select their favourite location to put in the image, video or GIF. There are two different styles available: tap the sticker location to change the theme.